A Provisional Agreement on the appointment of Bishops was signed by the Holy See and the People’s Republic of China, in the hope that it will contribute positively to the life of the Church in China, the good of the Chinese people and peace in the world. The Provisional Agreement, has been agreed following a long process of careful negotiation and foresees the possibility of periodic reviews of its application. It concerns the nomination of Bishops, a question of great importance for the life of the Church, and creates the conditions for greater collaboration at the bilateral level. As of yesterday, for the first time all the Bishops in China are in communion with the Bishop of Rome. In fact, on the day the Provisional Agreement on the Appointment of Bishops is signed by the Holy See and China, Pope Francis decided to readmit into full ecclesial communion eight Chinese Bishops that had been ordained without the Pontifical Mandate. 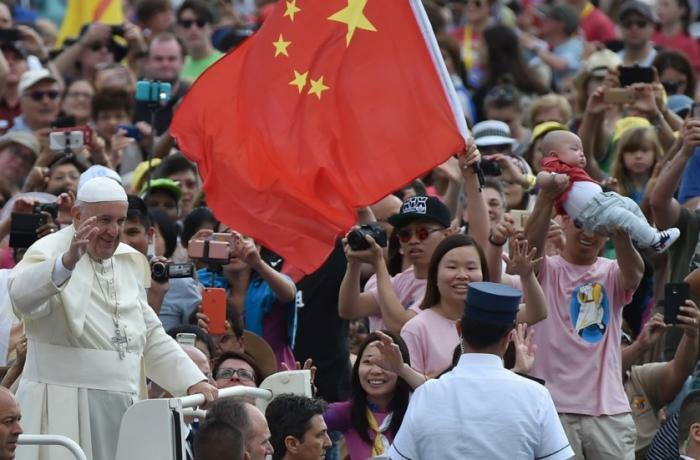 Pope Francis hopes that, with these decisions, a new process may begin that will allow the wounds of the past to be overcome, leading to the full communion of all Chinese Catholics. The accord was signed in Beijing during a meeting between China’s deputy minister for foreign affairs, Wang Chao, and the Vatican undersecretary for state relations, Monsignor Antoine Camilleri, a Maltese prelate. The agreement comes in a period that has seen China’s government most intensive crackdown on Christian congregations in Beijing and several provinces, destroying crosses, burning bibles, shutting churches and ordering followers to sign papers renouncing their faith, according to pastors and a group that monitors religion in China. Chinese law requires religious believers to worship only in congregations registered with the authorities, but many millions belong to so-called underground or house churches that defy government restrictions. Chinese Catholics that had been faithful to the Holy See and refused to join the state Chinese Catholic Patriotic Association where also considers part of underground Christianity and who paid the price of remaining faithful to Rome during years of persecution. There was also no immediate mention in the deal of the status of several underground bishops named by the pope, however Pope Francis has expressed the hope that the agreement will assure a new impetus towards healing and reconciliation. Is this the deal everyone had hoped for, certainly not, and also the Vatican admits that this is a step in a long journey, but an important step none the less. ‘The objective of the Holy See is a pastoral one.’ as emphasised by Cardinal Pietro Parolin, Vatican Secretary of State, when commenting on the Provisional Agreement on the appointment of Bishops signed by the Holy See and the Republic of China. China Communist Party is not the easiest to handle especially in a moment when the ruling Party is actually cracking down on religious freedom to consolidate its power. The Vatican is hoping to build a bridge of trust, and to help to create the condition, of a greater freedom, autonomy and organization, in order that the Catholic Church can dedicate itself to the mission of announcing the Gospel and also to contribute to the wellbeing and to the spiritual and material prosperity and harmony of the country. Let us remember that Pope Francis for year as a Jesuit Provincial Father and as a bishop pastored to the Argentinian community under totalitarian regimes. The Church cannot run away from these situations and abandon the faithful to make political stands, its mission is first and foremost a pastoral one and not political.